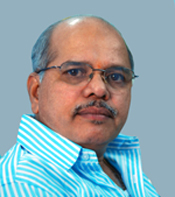 Born on 11 January 1956, Pundalik Vaze is a famous name in Marathi Publication field, especially for illustrations of chidren's books. His simple illustration style has it's own uniqueness. He completed aplied art from J.J. School of Art as well as bachelor degree in fine art from Mumbai University. He conducts workshops for amateur artists and students every year. Apart from illustrations, he takes part in making toys for chidren. He has got many awards for book desingning, illustrations and toys.